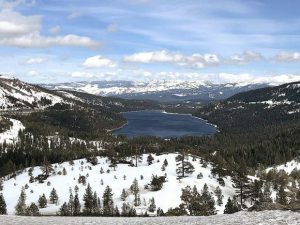 House and Senate leaders appeared to reach a bipartisan agreement Monday on a bill that would invest $415 million in the Lake Tahoe Basin over the next seven years, among other infrastructure and environmental projects across the country. Known as the Water Resources Development Act (WRDA), the agreement announced Monday includes the bulk of language referred to as the Lake Tahoe Restoration Act, according to U.S. Sen. Dean Heller, R-Nev., who hailed the development in a press release Monday. In September the Senate passed a version of the WRDA that included the Lake Tahoe Restoration Act — a development cheered by politicians on both side of the aisle and environmentalist groups as a critical step. Soon after, the House of Representatives passed a version of WRDA void of the provisions dealing with Lake Tahoe. The discrepancy sparked a reconciliation process that appeared to have wrapped up Monday. A vote could be held this week. Whether or not it will pass in both chambers and head to the President Barack Obama’s desk for approval remains to be seen. At least one member of the California-Nevada U.S. Senate delegation opposed the revised version. California Sen. Barbara Boxer issued a statement Monday, stating her shock over added language that would result in the loss of “thousands of fishery jobs,” while damaging the Endangered Species Act. Her comments were framed as a response to House Majority Leader Kevin McCarthy, R-Calif.
McCarthy said the measure would bring more water to California for farming and other uses. He hailed support from California’s other Democratic senator, Dianne Feinstein, saying the measure “could not have been finalized” without her backing. Feinstein defended the bill as “the best we can do” under a Republican-controlled Congress. With Congress set to adjourn for the year as early as Friday, Boxer said she would use procedural moves to delay the bill, up to and including killing other must-pass legislation such as a short-term measure funding the government until early next year. Congress faces a Friday deadline for the bill to avoid a government shutdown. 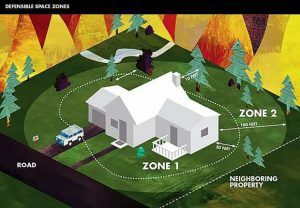 Wildfire Prevention: Provides $150 million for fire risk reduction and forest management. These dollars go toward fuel reduction projects in high-risk areas to restore forest health and wildlife habitat. A House provision focused on streamlining approvals for these types of activities was also included. The Environmental Improvement Program (EIP): Provides $80 million to jumpstart projects spanning from new bike trails to creek restoration and fire treatment. Some previous EIP projects that have benefited the region include the Heavenly Gondola and Village, the Angora Fire rehabilitation, Lake View Commons, the Sand Harbor Visitor Center, and the Incline Creek Restoration. The Invasive Species Management Program: Provides $45 million to prevent the introduction of the quagga mussel and manage other harmful invasive species like the Asian clam. This includes lake-wide aquatic invasive species control and a watercraft inspection program. Stormwater Projects: Sets aside $113 million to implement storm water management, erosion control, and watershed restoration projects. Storm water runoff from roads and the urban areas in the basin, vehicle exhaust, altered wetlands and streams, and inadequate storm water pollution control have significantly impacted Lake Tahoe’s famous clarity. The Lahontan Cutthroat Trout Recovery Program: Allocates $20 million to recover the Lahontan cutthroat trout – a federally threatened species and Nevada’s state fish. Increases Accountability and Oversight: Provides $5 million to ensure projects will have monitoring and assessment in order to determine the most cost-effective projects and ensure dollars are properly utilized. Overall Management Improvement: Sets aside $2 million to cover the cost of land exchanges and sales on both the California and Nevada sides of the Tahoe Basin that will improve efficiencies of public land management.